I took a break from writing over the Memorial Day weekend due to having the privilege of participating in events honoring our nation’s veterans. On Saturday, I assisted with an Honor Flight, welcoming 22 veterans and their families back from a trip to Washington, DC, where they visited the monuments dedicated to their service. Along with active duty service members, we lined the airport terminal to salute the veterans as they were transported from the gate to the baggage claim area. There they emerged from a tunnel of American flags to greet family and well-wishers in a celebration complete with a USO-style band. These gentlemen, most of whom are in their late 80s and early 90s, helped save the world. I am honored to have been able to work with them. Three brothers were on the flight, having served in WWII, Korea, and Vietnam. They lifted a beer at the Vietnam Memorial to honor fallen friends. The picture of that moment shares more than a thousand words. WWII veterans are passing on at a rate of 640 per day, according to VA data. Most of the veterans I’ve worked with over the years don’t want to talk about their service, but saying thank you is always appreciated. Sunday was a little more sobering when I volunteered with a group charged with placing flags at all graves in our National Cemetery as well as on the graves of veterans buried at a dozen Jewish cemeteries. Our local post of the Jewish War Veterans of the USA provided breakfast for over 500 of us before we set out on our task. After the flag is placed, it is saluted. Each veteran’s name is read and they are thanked for their service. Our small group placed over 1,000 of the 200,000 flags that went out that day. A small commitment compared to what those we honored have given. If you’ve never done this and have the opportunity, I would strongly encourage you to take part. 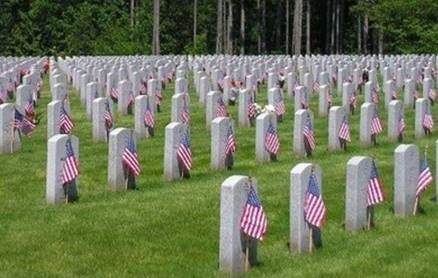 Every one of those flags has a story and it’s something to think about on days when we’re tempted to complain about spotty cell service and slow lines at Starbucks. 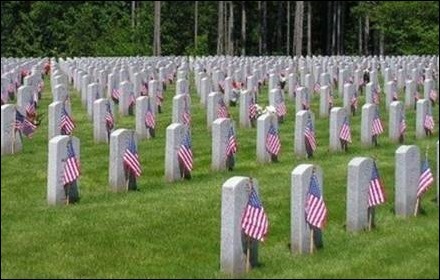 I saw patients on Memorial Day itself since many of my partners are former military officers and having the rest of us work allowed them to participate in local remembrances. It was a busy shift due to the three-day weekend. I experienced something I haven’t seen before, which was having a parent drop off a 12-year-old at the urgent care and then leave him in the exam room to run errands. Of course, we can’t treat a child without a parent there to provide consent, so we had to wait. After an hour, I was wondering at what point it becomes child abandonment when the parent returned, acting like his actions were no big deal. I hope the patient wasn’t too scared about being left alone. We tried to check on him regularly while waiting for Dad to turn back up. Tuesday sent me fully back into the healthcare IT fray, mopping up after a client who decided to try to install an upgrade over the weekend despite their vendor’s support desk being closed for the holiday. While I was re-running and monitoring the upgrade scripts, I had a chance to catch up on some articles that friends and readers had sent my way. One caught my attention with its headline that “Patients Fare Worse with Older Doctors, Study Finds.” It cites research from Harvard Medical School looking at Medicare data for over 700,000 hospital admissions. The patient mortality rate rose for each decade of physician longevity, ranging from 10.8 percent for physicians under age 40 to above 12 percent for physicians over age 60. However, physicians who saw large volumes of patients didn’t seem to have a change in mortality rates due to age, rather those rates remained consistent for higher-volume physicians. Seeing more patients may force physicians to stay current, but it could also be that lower volume physicians see fewer patients because they are less knowledgeable. The article offers some other interesting conclusions, but I’d be interested to hear what readers think. One 74-year-old physician keeps current by reading multiple medical journals each day. That kind of volume would be hard for me to do, so I applaud him for being what he describes as “addicted to keeping up to date.” He’s a medical school dean, so I’m not surprised. Another piece from Boston’s NPR new station chronicled one burnt-out doctor’s decision to leave medicine. The author notes that while many people ask why she left, virtually no physicians ask her that question. They instead ask how the transition worked. I’ve had numerous physicians approach me over the last few years asking about clinical informatics as a potential way to get out of clinical practice but still be able to positively impact patient care. I would be dishonest if I didn’t acknowledge that I leveraged the move to full-time informatics as a way to get out of paying for supplemental liability insurance (so-called “tail coverage”) as well as a way to get free of a restrictive non-compete clause. In my situation, those were beneficial side-effects of the move, however, rather than incentives. Those are some sobering statistics for physicians who aren’t even 20 years out of training. They also paint a different picture of the primary care shortage, one where lack of training slots are not the problem. I hate to see my friend consider leaving medicine, as she practices in a relatively underserved area and also serves as the medical director for a home hospice organization. Those vital services aren’t easily replaced. She has already stopped delivering inpatient care and next week marks the end of her hospice practice. Her eight-year plan gets her children nearly through college while letting her only sit for Board recertification exams one more time. I’m glad that she’s designing a strategy that lets her keep seeing patients while trying to address potential burnout. I will be supportive no matter which way she decides to go. Are you thinking about leaving healthcare or healthcare IT? Email me.